What is Furniture 411 and how can it help You? 411 means information, and it is the number to "call" to provide you answers and help. 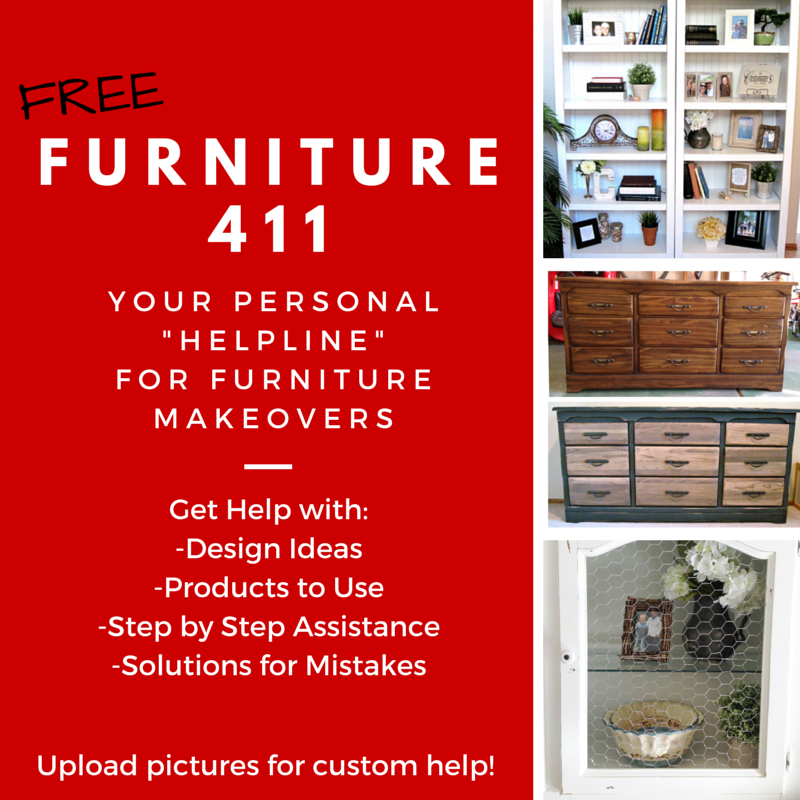 Furniture 411 is now available to provide you specific help/information to aid in all your furniture creativity. A forum of people who love to help and create. I started it and am here to answer all of your furniture questions. I am not posing as an expert, but I have done countless furniture redos from bedroom furniture to pianos to entertainment centers to coffee tables to dressers, you name it, if it is wood (or something pretending to be wood) I have worked with it. I have painted, chalk painted, stained and gel stained. I have restored, re-created, and redone. I have worked with a paint brush and a paint sprayer. I have done simple to complex designs, and just love "playing" with furniture redos. Even though I am inexperienced with upholstery, I have done a few no-sew projects that turned out awesome, and through this forum those who know sewing and upholstery can provide feedback too! Click here and you will be taken to the tab above called "Furniture 411". You can upload a picture (or more), or just type a question. I (and others on the forum) will be emailed your question and thus able to quickly provide our feedback to help you. All things furniture. Are you looking at a piece in your home, or something you bought or found on the side of the road and have no idea what to do with it? Ask for ideas! Or are you deciding between a few options and want to get other's opinions on what more people would like? Or which route would be easier or less expensive? Or do you want to know whether a coat of primer is really needed? Or maybe you painted a piece and yucky gunk is coming through the paint levels and you don't know what it is or how to get rid of it? Or why the paint or stain is doing something you didn't expect? We have encountered those same questions plus many more, and being able to ask a community that has learned the hard way already makes your job much easier. 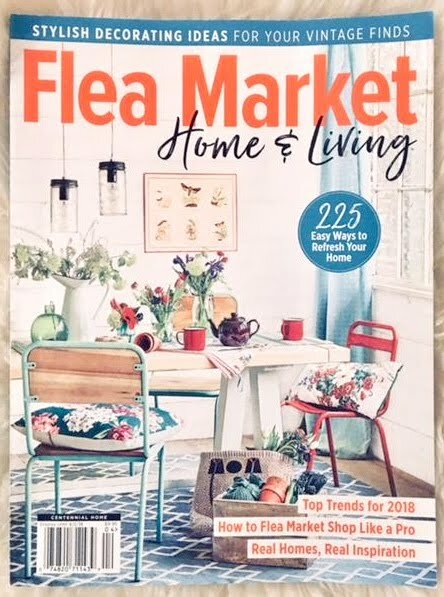 I started this blog as a way to chronicle my projects as well as encourage others that even if you are on a tight budget you can still create in a big way. Making wreaths adds up to more money than most of my furniture redo projects, and in the end I sell what I do and make a great profit allowing us great side money. I know so many other moms like me that get stuck in the day to day grind and get tired of things like laundry, cooking, shopping, cleaning, etc because you do it once and within 10 minutes it looks like you didn't do it. Exhausting. Creating allows me to see progress, and allows me to step back and appreciate how far something came. Re-doing furniture allows me to beautify my home on a dime and also have a side income as well. Most of you just want to redo a piece you already have, and are not sure if you can do it. Others are like me and have gone crazy and want a place to get feedback when we get stuck. I love friends, I love support, and I wouldn't be anywhere without it. Furniture 411 is free because I want you to get to your happy place too! In the end I hope this forum grows to be something big. Obviously as of June 2015 it is small, but I promise to be there for you to help you along now and in the future when we have grown big. Hopefully you will join our little community and provide feedback no matter how much of a novice you are. We all have opinions and most of the time that is all someone needs. We all can help and we all can learn from one another and it will be a lot of fun. Most correspondence through the forum can be done through email (yet your email will remain private), so it will be simple. Click here to be part of the potentially worldwide fun! Get help creating & have fun sharing your opinion & what you have learned too!